A 21-year-old student was recently hit by an automobile while crossing East Main Street in front of Wheaton College in Norton. Samantha Barchard was reportedly in a crosswalk when she was struck by an eastbound motor vehicle driven by 61-year-old Stephen Tapper of Stoughton. The evening accident occurred near Howard Street and allegedly sent the college student to Sturdy Memorial Hospital in Attleboro for treatment. The exact cause of the injury accident is currently under investigation by a representative for the Norton Police Department. The driver allegedly told police that he did not see Barchard due to fog and the dark clothing she was reportedly wearing at the time of the crash. Still, Tapper was issued a ticket for failure to yield to a pedestrian in a crosswalk. Due to high pedestrian traffic in the area, three crosswalks in front of the college are purportedly heavily monitored by local police. According to the Massachusetts Department of Health and Human Services, there were 79 pedestrian fatalities in the state in 2005. In addition, 4,713 pedestrians visited a hospital as a result of an accident with a motor vehicle during the same year. Sadly, individuals who choose to travel on foot run the risk of being hurt by a car, truck, motorcycle, or other motorized vehicle every day. Such accidents may be caused by speeding, driver impairment, dangerous road conditions, a distracted or inattentive motorist, automobile defects, and a number of other factors. When a pedestrian is hit by a motor vehicle, the resulting injuries can be serious and life threatening. Someone who was hurt due to a motorist's carelessness may be entitled to recover compensation for the cost of their medical care, suffering, pain, any disability that resulted from the collision, and other damages. Additionally, the family of an individual who was killed by a negligent motorist may be eligible to file a Massachusetts wrongful death claim. 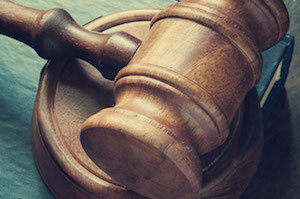 An experienced personal injury lawyer can describe your options for recovery in more detail. If you were injured or a loved one was killed in a pedestrian or other accident, do not hesitate to give the Law Offices of Sousa & Sousa, P.C. a call at (508) 230-5300 in Brockton or (508) 823-6111 in Taunton. Our knowledgeable Norton pedestrian accident attorneys focus their practice exclusively on personal injury law. The dedicated lawyers at Sousa & Sousa have more than 50 years of combined experience assisting the victims of terrible injury accidents with achieving the financial compensation they deserve. The Law Offices of Sousa & Sousa is available to assist clients who were injured in Norton, Easton, Stoughton, Brockton, Taunton, Bridgewater, and many other surrounding towns. To speak with a capable personal injury attorney today, please contact the Law Offices of Sousa & Sousa through the law firm's website.